The midwestern state of Oklahoma is home to about 4 million people. Over 1 million of those people are over the age of 50. According to the United States Census Bureau, about 75 percent are white alone, although a significant portion of the population are Native Americans, primarily Cherokee and Choctaw. The state is famous for its farmland, but it has also been a large producer of oil. Like in the rest of the US, many Oklahoma residents struggle with substance abuse and addiction. The opioid epidemic and ongoing struggles with alcohol and illicit drugs have hit the state hard. According to a 2015-2016 national survey, an estimated 19.3 million adults across the United States struggled with a substance use disorder, and approximately 206,000 of those adults were in Oklahoma. About 14,000 adolescents in Oklahoma struggled with substance use disorders, but about 13,000 Oklahoman 12- to 17-year-olds did not receive needed treatment for substance use. Between 1999 and 2016, the number of fatal overdoses from both prescription and illicit drugs increased from 178 to 813 in the state of Oklahoma. In other words, the 2016 fatal overdose rates in Oklahoma were more than 4 times the rates in 1999. This reflects a larger national trend as opioid prescriptions increased from 1999 to 2010. In 2010 alone, there were 814 overdose deathsacross the state; that number outpaced motor vehicle accident deaths that year, which totaled 668 people. In 2014, there were 864 people across the state who died from any drug, primarily prescription drugs but also from meth, heroin, and cocaine. According to the Centers for Disease Control and Prevention (CDC), in 2012 Oklahoma had about 127 opioid prescriptions per 100 people. This is over 50% more than the national average of about 82 opioid prescriptions per 100 people. Oklahoma is ranked 5th among U.S. states for the highest prescribing rates of opioids per capita. In 2016, prescription drug abuse in Oklahoma was about 232 percent more than the national average. In 2012, a state newspaper reported that Oklahoma ranked number one among all US states for prescription painkiller abuse. By the end of 2009, almost 240,000 Oklahoma residents took prescription pain medication for nonmedical reasons that year. This is about 8 percent of the state’s population over the age of 11 years old. According to the CDC, in 2014 Oklahoma ranked in the top 10 states for drug overdose death rates. In one of the deadliest months for prescription drug overdoses on record in Oklahoma, March 2014, an average of almost two people per day died from a prescription drug overdose, for a total of 61 people in that month alone. Although oxycodone and hydrocodone were frequently a part of those overdoses, methadone contributed to 14 overdose deaths, the largest number of any prescription drug. Oxycodone- and hydrocodone-based prescription painkillers are the most widely prescribed opioid analgesics nationally and thus are commonly misused, but there are many other opioids that are also abused. Methadone contributes to numerous overdoses all over the US, according to the CDC. In Oklahoma, methadone was involved in 106 overdoses in 2010; morphine was involved in 91, and fentanyl was involved in 57 overdose deaths. Meth is a problem in Oklahoma, but prescription drug overdose, especially with opioid drugs, is a greater risk. About 72 percent of drug overdose deaths in Oklahoma in 2014 involved prescription and/or over-the-counter drugs, compared to 28 percent involving only illegal drugs. The Oklahoma State Bureau of Narcotics and Dangerous Drugs Control (OBN) reported that, in 2016, there were 159 oxycodone-related overdose deaths and 105 hydrocodone-related overdose deaths. Between 2012 and 2016, heroin overdose deaths in Oklahoma more than doubled. By 2016, more than one in every nine opioid overdose deaths involved heroin. Across the country, heroin abuse, overdose, and death are on the rise, largely as states and the federal government make it harder for people struggling with opioid addiction to acquire prescription narcotics. In 2010, meth was reportedly present in 103 overdose victims. However, by 2016, the number of overdoses involving methamphetamines soared – 335 people died from meth overdoses in that year alone, which was over 40 percent of all the overdose deaths in Oklahoma. This represented about a 225 percent increase since 2010. Law enforcement officials believe that the culprit is a rapid influx of meth from Mexican labs because there has been a decline in Oklahoma in small and domestic labs producing meth. Although most of the meth entering Oklahoma is believed to come from Mexico, the state has still increased the number of meth lab seizures. In 2008, there were reportedly 184 lab seizures; by 2011, there were 993 incidents – an increase of 440 percent. Analgesics are only one factor in the prescription drug abuse problem. 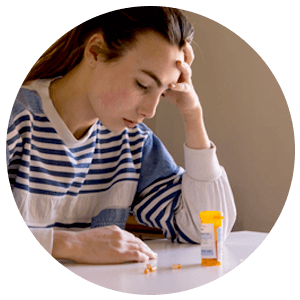 Benzodiazepines often contribute to overdose deaths, especially opioid overdoses. In Oklahoma, Xanax (alprazolam) contributed to 129 overdose deaths in 2014 alone. The National Institute on Drug Abuse noted that over 30 percent of the overdoses involving opioids nationally also involve benzodiazepines. In 2015, Valium (diazepam) and Xanax, two drugs in the benzodiazepine class, contributed to 24 percent of the total number of overdose deaths in Oklahoma, or 195 people. These deaths mainly involved a deadly cocktail of benzodiazepines along with opioids and/or alcohol. Cocaine was found in 37 overdose victims across the state of Oklahoma in 2016, according to OBN. In a 2017 national survey, about 3.7 percent of high school seniors reported using synthetic marijuana at some point in the previous year. In November 2011, Oklahoma made about 250 chemicals often found in synthetic cannabinoids like Spice and K2 illegal. However, the manufacturers of synthetic cannabinoids are known for altering the chemical makeup of their products often so that they do not contain any chemicals classified at that time as illegal. Oklahoma was ranked 11th by the CDC for the highest rates of alcohol poisoning in the country and sixth in the nation for alcohol-related mortality. Based on 2015-2016 surveys, among people ages 12 and older in Oklahoma, an estimated 5.5 percent have an alcohol use disorder; this is slightly below the national approximation of 5.7 percent. Among Oklahoma adults ages 21 and older, 159,000 people reported being heavy drinkers, meaning they had more than 4 alcoholic drinks on five or more separate occasions in the last 30 days. Based on 2015-2016 surveys, an estimated 22.8 percent of Oklahomans over age 17 binge drank in the past month. When considering only 18- to 25-year-olds, this percent was even higher at an estimated 32.4 percent. For males, binge drinking is defined as drinking five or more alcoholic drinks within a couple hours timespan, and for females, it is four or more drinks per episode. According to the National Council on Alcoholism and Drug Dependence (NCADD), research in a hospital emergency department found that, of patients with an occupational injury, 35 percent were considered at-risk drinkers. Furthermore, NCADD reports that 24 percent of workers admit to drinking during working hours at least one time in the past year, according to national surveys. In 2016, there were 92 fatal occupational injuries in Oklahoma, according the U.S. Bureau of Labor Statistics. The Substance Abuse and Mental Health Services Administration (SAMHSA) published a 2014 report regarding substance use and mental health in Oklahoma. Among adolescents ages 12 to 20, past month binge drinking rates in 2012-2013 surveys were marginally higher in Oklahoma than the national average. About 15.4 percent of adolescents in Oklahoma participated in binge drinking at least once during the month before they were surveyed, while around 14.7 percent did so nationally. About 62.5 percent of Oklahoma adolescents, ages 12-17, did not perceive a great risk in drinking more than four drinks once or twice a week, which was slightly higher the national average of about 60.7 percent. According to SAMHSA, 59 percent of Oklahomans enrolled in substance use treatment were in treatment for either an alcohol problem only or both drug and alcohol problems, based on a single-day count in 2015. However, most people in Oklahoma who struggle with alcohol use disorder, heavy drinking, binge drinking, or alcohol dependence do not receive the treatment they need. 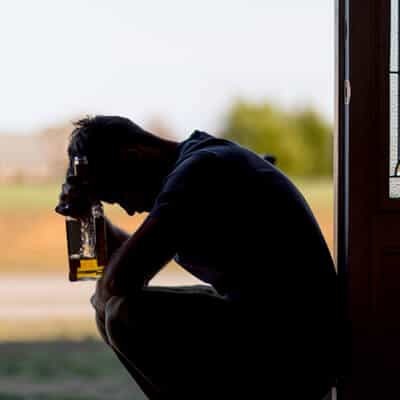 Between 2009 and 2013, only about 7.6 percent of people struggling with alcohol dependence or abuse received treatment each year; around 92.4 percent did not get help each year. Unlike many states across the US, Oklahoma has not passed laws allowing for medical or recreational use of marijuana. However, in July 2017, a law went into effect that reduced the penalty for all marijuana possession offenses to misdemeanors. As the state has the second highest rate of incarceration in the country, 673 people per 100,000 residents, this change in the law should help reduce nonviolent incarcerations and hopefully will shift focus to substance abuse treatment instead. The state also has laws protecting people who use high-CBD, low-THC cannabis oil for specified medical reasons, although there is still no legal way to obtain the substance in Oklahoma. In addition to an urgent problem involving substance abuse, many individuals in Oklahoma struggle with mental illness. Based on a 2018 report, Oklahoma had the 19th highest adult prevalence rates of mental illness among the 50 states and Washington, D.C. Approximately 548,000 adults in Oklahoma struggle with mental illness annually, which is about 19.2 percent of the state’s population. Comparatively, the national average is around 18.0 percent, or about 43,400,000 Americans. Furthermore, Oklahoma has the 11th worst access to care ranking. According to SAMHSA, between 2011 and 2015, on average only about 43.4 percent of adults with mental illness in Oklahoma had received any mental health services in the year before being surveyed. Although the state clearly has a need for better treatment for mental health, budget restraints limit provider and facility availability. According to the CDC, Oklahoma ranked 8th in the nation for rates of suicide in 2016, with about 21 deaths by suicide per 100,000 people. This is an increase from 2015, where the Oklahoma rate was 20.3, as well as 2014, where the rate was 19.1. The 2016 rate is more than a 40 percent increase from the 2005 rate of 14.8. A 2015 report published by United Way found that Oklahoma had the 9th worst mental health care system for children and adolescents in particular, based on mental illness prevalence and access to treatment services. Across the United States, 50 percent of all lifetime mental illness cases start by age 14, and 75 percent start by age 24. Approximately 90,692 children in Oklahoma have behavioral, emotional, or developmental issues, which is about 8.5 percent of Oklahoma’s child population. In Oklahoma County alone, it is estimated that 40,269 youths are struggling with mental health problems, but less than 24 percent of those young people receive the treatment they need. A single-day count of people in substance abuse treatment in Oklahoma in 2015 found 16,783 individuals receiving help. Over 45 percent of those people reported struggling with drug and alcohol problems; 41 percent reported a drug problem only while almost 14 percent reported alcohol problems only. SAMHSA’s 2014 report found that most people over the age of 11 in Oklahoma who need help for drug abuse issues do not get it; between 2005 and 2013, on average 86.1 percent of people with illegal drug dependence or abuse did not get any treatment for substance problems in the year before being surveyed. In 2009, state-funded substance abuse treatment facilities in Oklahoma saw 1,500 older adults (over the age of 49) seek treatment. Nearly 78 percent of those admissions were men. About 82 percent of Oklahomans age 50 and up who entered substance abuse treatment were on the state’s Medicaid program, and 10 percent had Medicare insurance. A 2015 report stated that an estimated 111,000 adults in Oklahoma with mental illness are uninsured. Unfortunately, waiting lists are long for people without insurance who cannot afford to pay out of pocket for needed treatment for substance abuse, mental health, or both. A 2016 news article states that the Oklahoma Department of Mental Health and Substance Abuse Services reported about 600-800 people are typically on waiting lists to receive care at state-contracted facilities, with priority admissions for those with severe substance abuse problems. In both 2015 and 2016, Oklahoma had the highest rate of female imprisonment in the United States, and the second highest total rates of imprisonment. The national average in 2016 was 64 women imprisoned per 100,000 United States female residents; in Oklahoma, that rate was 149 per 100,000 Oklahoma women. According to a 2015 Washington Times article, Oklahoma corrections officials reported the state’s high imprisonment rate of women is primarily due to substance abuse and mental health conditions; the majority of the 3,211 imprisoned Oklahoma women on a September 2015 single-day count were nonviolent drug offenders serving their first prison sentence. The Corrections Department noted that around 33 percent (one-third) of re-incarcerated women have previous convictions related to illegal substances. Nationally, young offenders in juvenile detention have mental illnesses more than three times more often than the general population. Between 25 and 50 percent had substance abuse problems, depending on where they were assessed in the criminal process. In 2011, 12 percent of all Oklahomans who were arrested for any crime were juveniles, and most of these children were between 15 and 17 years old. Oklahoma is trying to combat prescription drug abuse. In 2014, the state senate passed HB 2589, which amended the Oklahoma Trafficking in Illegal Drugs Act to include four often abused prescription drugs. Individuals possessing specified quantities of morphine, oxycodone, hydrocodone, or a benzodiazepine can be sentenced to between 10 years and life in prison on the first offense. This is a harsh penalty for people struggling with addiction, but the state hopes this will reduce abuse of these drugs. The Oklahoma Department of Mental Health and Substance Abuse Service (ODMHSAS) uses certifications for certain mental health and substance abuse providers to regulates standards in an effort to ensure a competent, well-trained mental health workforce. There is also a State Board of Behavioral Health, which licenses and regulates Licensed Professional Counselors (LPCs), Licensed Marital and Family Therapists (LMFTs), Licensed Behavioral Practitioners (LBPs), and Licensed Genetic Counselors (LGCs), as well as the Oklahoma State Board of Licensed Alcohol and Drug Counselors which licenses and regulates LADCs. ODMHSAS operates the Support for Treatment and Recovery Services (STARS) Division, which contracts with 130 substance use disorder treatment providers and runs three residential treatment locations. Additionally, substance abuse treatment providers can be found through SAMHSA’s treatment locator tool. Veterans living across Oklahoma can get help for PTSD, substance abuse, and other mental, behavioral, or physical health issues through the VA, which even has a substance use disorder program and a PTSD program. Additional assistance for anyone in Oklahoma may be available through the Oklahoma Department of Human Services (DHS), which may refer those in need to more specific government programs, including insurance assistance. The Oklahoma Healthcare Authority (OHCA) manages the state’s Medicaid program (called SoonerCare) and Insure Oklahoma, a program that helps adults get coverage for healthcare for themselves and their families. Although overcoming substance use disorders is challenging, there are some great options for help available. Oklahoma is working hard to improve resources for all residents, including access to healthcare, prevention programs, and more.